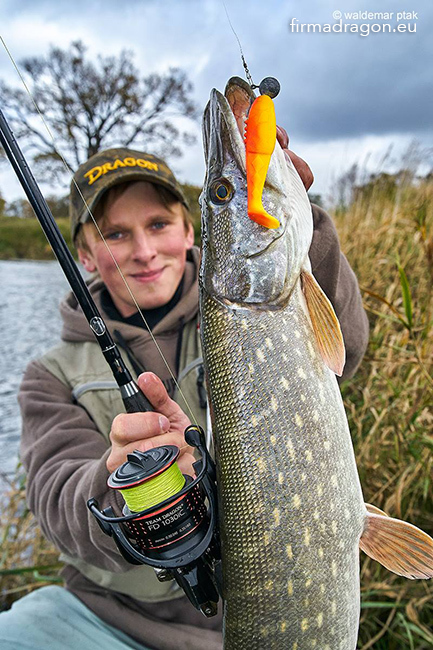 This year’s autumn, apart from beautiful fish in the Odra river, it also bears fruits of new Team Dragon reels. In the Team Dragon family you can find four reels ( in each series 4 sizes ) but with the same Team Dragon name and additionally marked with the letters: Z, X, C, S. I had the chance to test them in a difficult fisheries ( one size for each series ). I spent most of my time with this one which had a braid. The kind of line decided that I wanted to test exactly that model, it means that the choice was decided by chance. The inscriptions which appear on it are: TEAM DRAGON FD1030iC, GEAR RATIO 1:5.2, mm/m 0.30/240 0.35/180, FULL CARBON REEL, 9 BB + 1 One Way. I was informed later that this reel would be offered in decent price, significantly smaller than 2 different ones Team Dragon’s reels. Why am I writing about it? 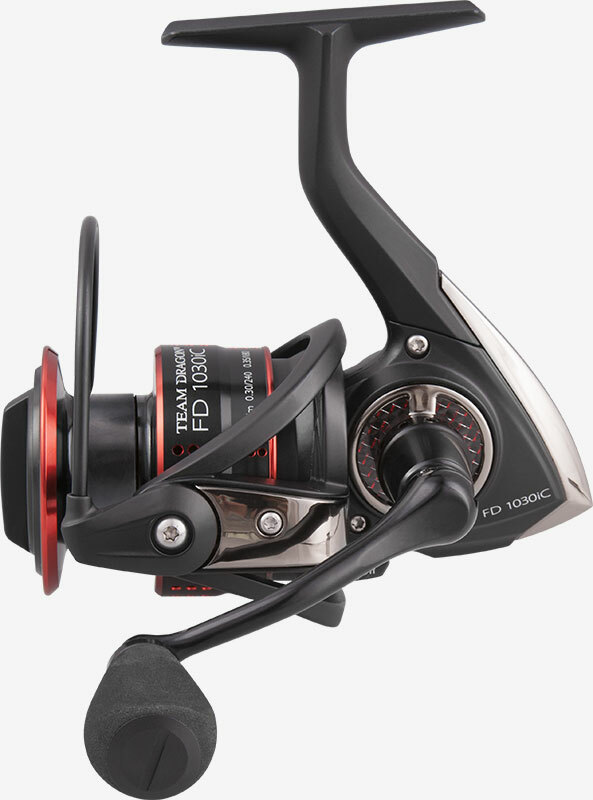 Because this reel is perfect in my opinion, and if the principle is valid that “ cheaper = better “ so I cannot wait to test two more expensive reels. Let’s focus on TD C, with which I have the pleasure to fish in the Odra river. i will not write about design. First of all, there are different tastes and second of all I will never buy anything with my “ eyes” and when it comes to rods and reels design is not important for me at all. The reel has to spinn. I have to admit that I haven’t use the reel without any lures, but I used it a lot with lures. I have to admit - honestly - that I am extremely impressed. It doesn’t matter whether I had a several gram wobbler or big and heavy soft lure. The handle worked fabulously. I am positively impressed. The second thing which I noticed is the brake. The precision in regulation and the reaction of the resistance to every movement during regulation. I haven’t notice any “ unevens” when it comes to brake’s action. At the beginning I mentioned about the article about the braid on the spool ( 0.12 - 0.14 mm ) it is not spooled “ to the end “ as it is written in the manual that is why I can’t say anything about that if this reel is appropriate for this kind of line. The only tiny disadventage which I found is “ return “ of the handle - minimal, but still. I do not know what to call it professionally but I hope you understand. I think that this model is really decent. For how long? I don’t know, but till this day it has been ok. In case of problems it has 5 years warranty and what is important - five years of fishing for little money. Dragon’s service is in Poland, near Bydgoszcz. P.S. After writing this article, I tested a few reels at home ( with described ) - and it is not significantly different from other reels. But on the water, with loading it works like butter. We do not buy reels to play with them at home but to use them in difficult weather conditions and under different loading.